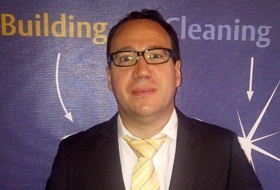 Olivier Ravon, deputy international director for Atalian Global Services, has been living in Romania since 2004. He is French, born in Saintes and grew-up in Bordeaux, South West of France. He has answered to our Expat Interview questionnaire. For how long have you been living/working in Romania? Give us details about what brought you here in the first place. I have been leaving in Romania since March 2004. I came here first as Country Manager and then as Regional Manager for a moving and relocation company. Tell us a few things about your activity in Romania so far. Today, I am still working in services Business to Business but for a different company that the one which brought me to Romania. I am the Deputy International Director for Atalian Global Services, which provides technical maintenance and facility management, cleaning, reception, security, landscaping, hygiene and construction services to companies and local authorities. Where else in the world have you worked/lived or just traveled? Tell us something you believe is worth mentioning and give us details, please. I am traveling a lot both for business reasons and for pleasure. As a Deputy International Director for Atalian, I leave in Bucharest and I am responsible for the management and the development of the Atalian Group in the region. Therefore, I am going quite often to all the Balkans capitals: Belgrade, Sofia, Zagreb and Sarajevo. Budapest is also part the region I am covering and where I love to spend week-ends. My favorite restaurant, the Spoon, is located there. Talking about holidays, my three favorite destinations, where I had the chance to travel recently are Bali, Cape Town and Florida. What is your favourite place in Romania and why? When and how did you discover it? In Romania, one of the places I like much is the Danube Delta. When you go there, you are 100% disconnected from Bucharest, it is all about nature and authenticity. But quickly after a few days, I need to travel back to find again my home and my friends. What don't you like in Romania? What would you change about it? As I mentioned before, I am traveling a lot for my job, so my free time is mostly dedicated to my wife. We both like skiing in the winter, concerts and music festivals in the summer. Spending time with my friends is also essential for my balance. Resist more than seven years in Romania!!! I am kidding, but still, most of my friends and family in France considered that I was punished and I am forced to stay here. I am like a prisoner…. I actually enjoy it every day. Those who came to visit quickly changed their mind about Romania and understood why I am still leaving here. I have a passion for motor sports. Speedboats, sports cars and motorbikes. Unfortunately, I cannot pursue my passion as much I would like, by lack of time. Still from time to time, a go kart race between friends and colleagues is good fun. If you are an expat in Romania and you'd like to be featured in this new section, fill in the interview form here. We'll review your answers and get back to you for publishing.